Please find the fixtures, for the end of the season 2015. Those events concern Senior players, until we set some events for Juniors. In green, you will find Rugby 7s tournament, where RKB is directly engaged. The same for the orange colour, but this competition is in CZ, precisely in Brno and not belong to the Slovak competition. 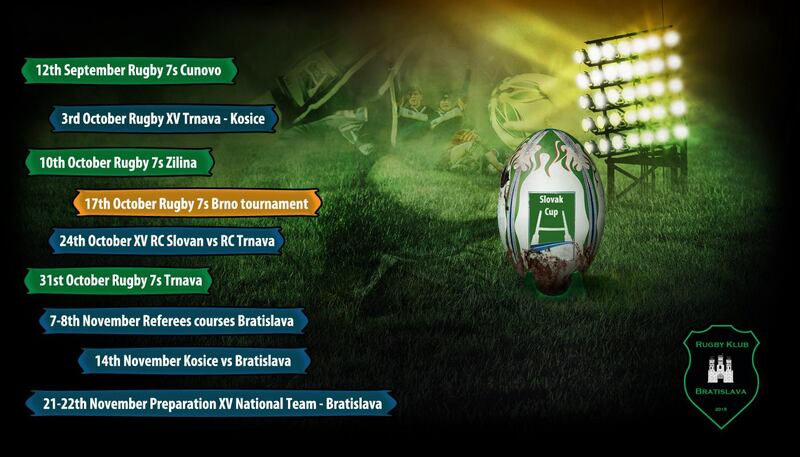 The other events in blue are rugby XV matches for experienced players, or common meetings for Slovak rugby community. High attendance from everyone is expected.